Retro and vintage has become very popular in the past few years. Many of the styles that used to be popular in the 50’s, 60’s, and 70’s are coming back with a vengeance. These styles have that “old-look” and many fashionistas love them because they create nostalgia and bring back memories from the past. At any rate, what is not to love about Audrey Hepburn or Jackie Kennedy?? This ACEVOG vintage 1950’s will make a flattering and feminine addition to your wardrobe, no matter what you wear it with. The vintage 1950’s style dresses are normally expensive, but you can pick this one up on Amazon for less than a nice steak dinner! Check it out, we bet you will receive a compliment or two when wearing it! 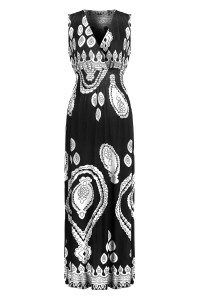 Seamlessly transition from day to night with this DEX Spaghetti Strap Maxi Dress. This dress makes a beautiful addition to any summer wardrobe, with vibrant colors and good quality knit fabrics. Wear this to work, the pool, or just out with the girls for a dinner or a night on the town! Note for short girls: this dress runs a tad bit long, so if you are in the 5’10” area, you may want to wear heels to prevent it from dragging on the ground. 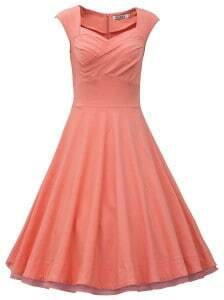 This classy MUXXN retro capshoulder party swing dress is another best-seller inspired by the 1950’s. The dress itself is medium weight, and brands itself as 100% cotton. 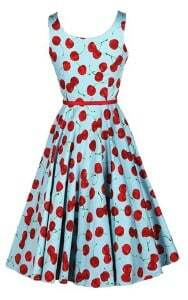 Wear this for the classic “pin-up” look, or even fancier occasions like dinner or dates. The great thing about this dress is that it is casual and classy at the same time, giving you quite a bit of flexibility. This dress is great because the dimensions (in cm) are pretty much true to point, so you won’t have to return it three times before finding one that fits (so order your exact size when purchasing this dress and you’ll be fine). This piece looks great with a simple petticoat, and won’t wrinkle easily, meaning you can have a night out without worry. Want to stand out at the office while staying conservative at the same time? 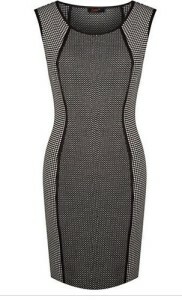 Then check out this Woven Shift dress by DEX. This dress creates a beautiful silhouette and a slimming effect with the mid-pu trim. The cap sleeves change up your look while staying modest, and the body-hugging silhouette leaves you feeling confident and toned. This dress is great for the office and easily transforms for a night on the town. Check this dress out and knock out two birds with one stone. A perfect option for a wedding or just a night with friends, this G2 Chic tribal printed maxi dress will be sure to impress your friends and make you stand out among the crowd. This dress has a very flattering shape, and has a great neckline that provides great coverage and can be worn with pretty much any bra. The quality of this dress is amazing, and the silky material is not what you would expect to find from a dress this price An added bonus is that this dress comes in a whopping 42 different colors and patterns, giving you the option to be as creative as you want. If you are looking for an affordable addition without having to sacrifice quality, then definitely give this maxi dress a try. This Dayle dress from Revolve Clothing makes an excellent addition to any summer wardrobe. The checks grid creates a casual-chic look and features a split neckline, three-quarter sleeves and a curved A-line skirt that gracefully descends from the elasticized drawstring wasteline. The porcelain/caviar color can be matched with pretty much anything, but goes best with neutral and conservative colors. Wear this to work, to weddings, or pretty much anything else you can think of. Your friends will surely be impressed! Looking for a dress suitable for summer beach? Well look no further! 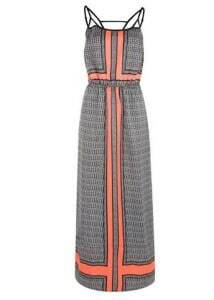 This sleeveless striped full length summer dress is perfect for the beach. lake, or vacation. The colors are stunning and there are quite a few to choose from. As for the fit, the dress is pretty long and hugs the chest and hides the tummy, and the fit it true to size. (short girls, beware). The material is lightweight, but not see-through so you don’t have to worry. Check this out and let the compliments roll in. While this short sleeve striped loose t-shirt dress is great for casual wear, is perfect for the lake, pool, or vacations. The material on this dress is not cheap at all, and the style is a great fit for summer and spring looks! The next dress on our list is a classic slim fit sleeveless midi dress that is perfect for any occasion. The fabric is soft and hugs the body, allowing you to show off what your mama gave you. The material is stretchy without feeling “stretched out” so you can be sure you will be comfortable when you are wearing this dress. Showcase your softer side with this light and breezy dress. Featuring tiered lace trim and tropical, it’s a versatile piece you’ll wear again and again. CapriWove dress.CapriThin straps. CapriLace detailing on neckline. CapriTie up lace on back. 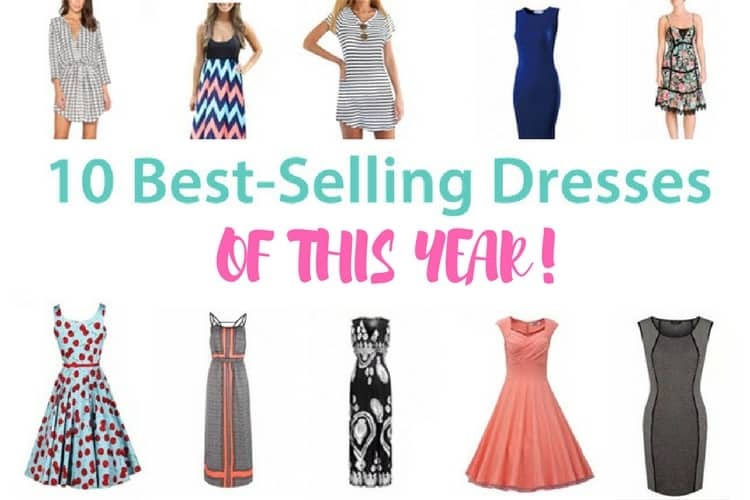 What are your favorite summer dresses? Favorite trends of the season so far?